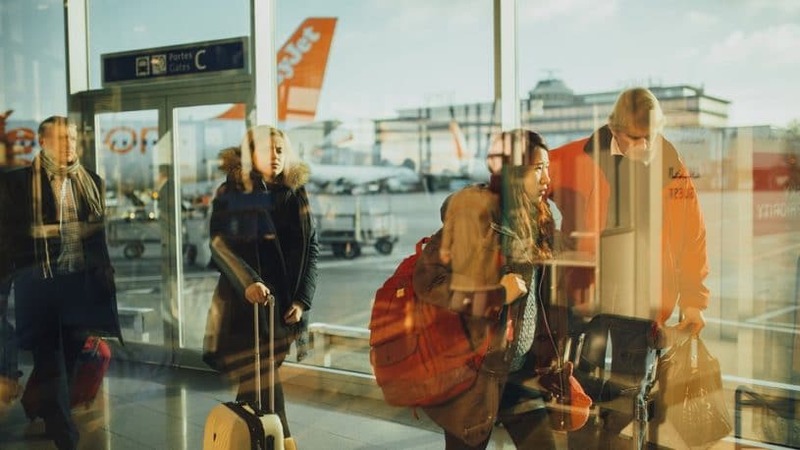 While the home may be a heavily guarded sanctuary against bed bugs, you might worry about your travels this summer and beyond. Bed bugs are most typically picked up by travelers, transmitted in hotel rooms, and even on airplane seats. It’s important to protect yourself against bed bugs while you are traveling. Otherwise, you’ll have to hire your local bed bug exterminator, which is never fun. Equally important is to understand that as vigilant as you may be against an infestation, you could still pick up some of these unwanted hitchhikers while you’re out and about. Therefore, you should also be well versed in how to get rid of an infestation should one appear. While DIY methods don’t always work to get rid of a bed bug infestation, it can be a good first line of defense. Also, they usually consist of natural ingredients which you may already have in your home. For example, soap and water can help repel and kill bed bugs. Wrapping your mattress in plastic can also prevent these traveling pests from settling in for the long-term. While you’re traveling, consider bringing a spray bottle filled with 100% essential oils. Then you can douse your bedding or sleeping space in the hotel with these oils. The best oils to repel bed bugs include cinnamon oil, lemongrass oil, lavender oil, and tea tree oil. You can also cover your luggage to help prevent bed bugs from traveling home with you. A mixture of all of these, or just one or two, can significantly reduce the likelihood of bed bugs hitching a ride. Petroleum jelly is another effective bed bug repellent. Simply apply it to the legs of the bed on which you plan to sleep. The idea is that the bugs won’t be able to get traction and will remain on the floor instead of crawling up into your bed. Neem oil, Diatomaceous Earth, and alcohol are other home remedies that are proven to be effective at repelling bed bugs. And the best part is you can do all of these without endangering your health with nasty synthetic chemicals. Know the signs of an infestation so that you don’t waste any time in treating it. 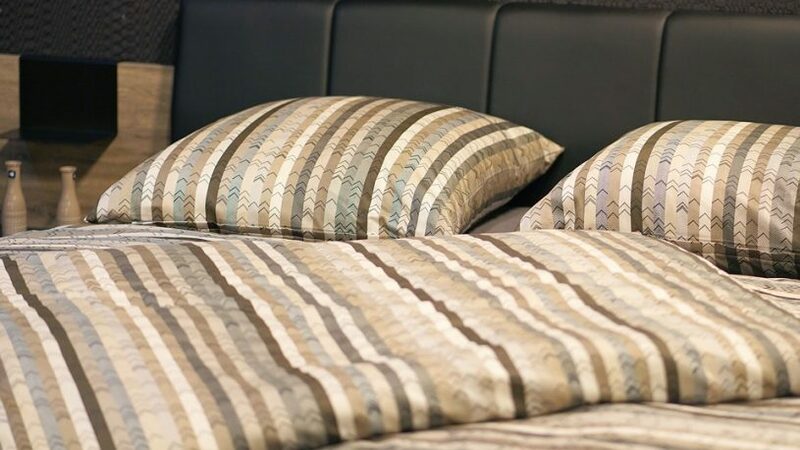 You will likely notice small blood stains on your bed or linens, or you might even detect the bites on your skin. The first thing you should do, aside from washing all of your linens and fabrics in the hottest setting possible, is to vacuum all other chairs and soft furnishings in your home. These pests can hide anywhere and everywhere, including in upholstered furniture or even electrical appliances. Vacuum thoroughly at least once a week, and make sure you dispose of the bag when you’re done. Steam cleaning is another great way to get rid of bed bugs. Bed bugs are quickly killed when temperatures rise above 140 degrees Fahrenheit. So treating an infestation with steam can get rid of them quite effectively. Plus, a steam cleaner can reach places that a vacuum cleaner can’t, such as between crevices and in sharp corners. You can also apply baking soda, oregano, or ginger to cracks and crevices to help get rid of these pests. What Should I Do If DIY Bed Bug Removal Doesn’t Work? You might do everything in your power to protect against a bed bug infestation, but you need to understand that infestations can’t always be prevented or treated without the help of professionals. In this case, it’s best to hire a certified pest control company. Control Exterminating is one of the best pest control companies in the area. We offer a range of services to deal with any infestation and make your bed bug experience disappear. We will work with you to develop a solution that addresses your budget, health and safety concerns, and the current level of infestation. Also, we don’t just work to eliminate the current problem – we also look at how the bed bugs entered your home in the first place, and develop a plan to keep them out in the future – permanently. Besides being a nuisance seeing them traversing your house, cockroaches can spread diseases like typhoid, dysentery, and diarrhea. Therefore, you should consider getting rid of these pests as soon as you see them in your home. Most people don’t realize they have roaches until they randomly see them scatter when they turn the lights on in the night. This is because these bugs are good at hiding and will come out from their hideouts when they know you won’t see them, particularly when lights are off at night. They’ll be busy feasting on the uncovered or spilled food in your kitchen or dining room until when you turn the lights on. That’s when you’ll see them running to particular areas in your house where they hide. When you don’t want to hire a professional roach exterminator, consider taking some action yourself. Did you know that a cockroach can survive for several weeks without food as long as it can access water? Now you know. Water is very important to cockroaches, and one of the major things that attract the pests to your home is moisture from leaky plumbing. Therefore, if you want to win your fight against cockroaches, you must check if there are pipe leaks and if present, correct them first before you start to exterminate the pests. Also, strive to ensure that your bathroom and kitchen are always dry from the day of the pest eradication onwards. You need to establish the exact spots where cockroaches are hiding in your house. The highly possible resting grounds of cockroaches include dark, hidden and damp areas like beneath your refrigerator, sink and bathroom cabinets/shelves as well as at the corners of your closet doors. Once you address moisture issue, the next thing you ought to do is clean your home thoroughly. While cleaning, move your furniture to clean the areas under it and wash all the dishes in your sink. Mop your floors thoroughly but do it using as minimal water as possible. Dispose of all the garbage, clean up all your kitchen countertops and tables where foods and drinks might have spilled, dispose of unwanted foods and put the usable ones in sealed containers or refrigerator. 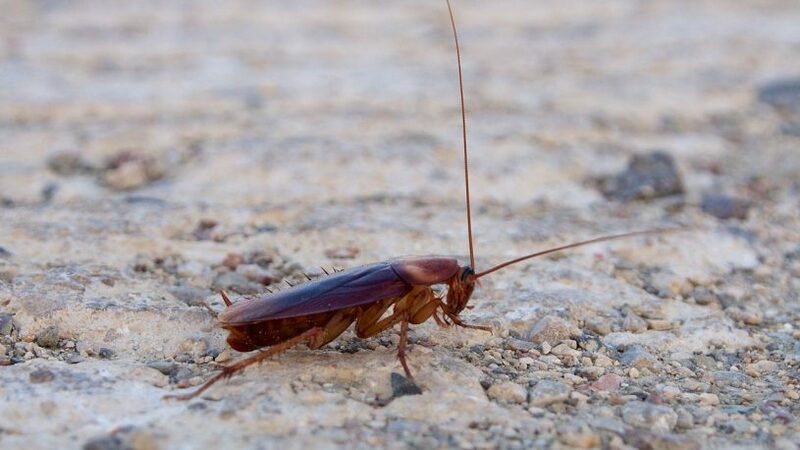 An over-the-counter cockroach gel bait can be a very effective way of eradicating cockroaches that have been attracted to your home by leaky pipes. Once you ensure that your plumbing doesn’t have any leak and there’s no moisture in your house, you can rest assured that the present cockroaches don’t have any access to water. Therefore, the chances of them consuming the bait will attract the pests since it has some moisture. Place the bait in the area where you suspect cockroaches are concentrated and leave it there for them to eat it. Cockroaches will die as a result of eating the poisoned bait or after consuming the feces of their fellows who have died because of consuming the bait. However, this method has one drawback in that it may take quite a long time, possibly weeks, to eliminate all cockroaches in your home. Besides, since it doesn’t affect unhatched cockroach eggs, you are likely to experience another infestation in future if the roaches had left some eggs. Instead of buying baits to get rid of roaches, you can make one by yourself. You just need to mix one-part powdered boric acid, one-part flour with one-part cocoa powder. Place the mixture in areas with high roach concentration. Cockroaches will die as a result of consuming the bait mix. Alternatively, you can spray the appropriate insecticide solution to areas where you think roaches are hiding or use to enter your house. Do Mothballs Get Rid of Roaches? Whether you are dealing with flies or gnats, these ubiquitous creatures are remarkably annoying despite their size. Luckily, it is easy to get rid of them with a few easy-to-follow steps. Before you can create a targeted solution to rid yourself of these flying pests, you must first know what kind of pest you are dealing with. Just because they’re small and annoying, it doesn’t necessarily mean they are gnats. Other common species include fruit flies, drain flies, and fungus gnats. Fruit flies are brown with bright red eyes. Drain flies are fuzzier and have wings like mouths. 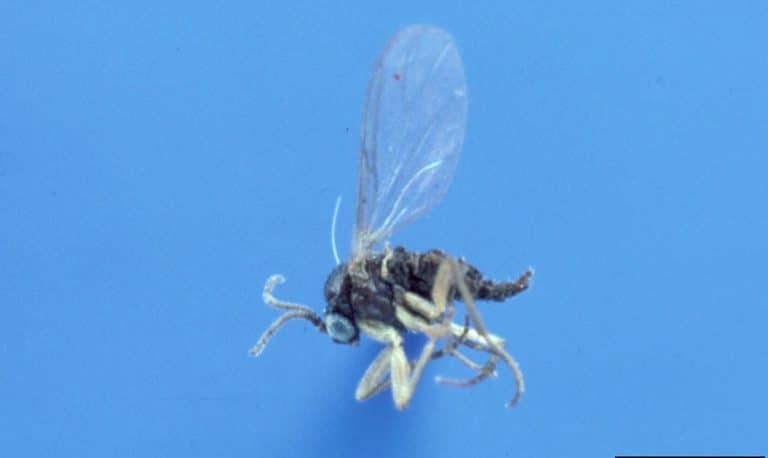 Fungus gnats have long, spindly legs, and are black in color. You can also help differentiate between the species by figuring out where they are located. Fruit flies tend to gather–as the name implies–around the fruit. Drain flies like to hang out in wet areas, such as the toilet or sink, while fungus gnats linger around plants. Fruit flies tend to congregate around–you guessed it–fruit, so keep fruit in the refrigerator and clean it as soon as you get it home. Fruit flies leave larvae or eggs on fruits’ surface, so washing produce can help eliminate them from the get-go. Drain flies tend to hang out around bacteria or sewage. Using foaming drain cleaner can help eliminate bacteria from the pipes. However, sometimes a drain fly infestation can signal a leaky pipe, so make sure you are diligent about taking care of any maintenance issues. Fungus gnats, like other types of pests, require moisture and humidity. Make sure you don’t overwater any houseplants or plants near the home. While stopping flies before they take up residence is the most effective way to control their populations, once they’ve really set in you can also use a trapping mechanism to eliminate them altogether. You can fashion an apple cider vinegar trap by mixing a container of apple cider vinegar with a few drops of dish soap. Place this mixture in a plastic jar, and cover with plastic wrap. Poke a few holes in the top for the flies to enter. They will drown in this mixture. Other homemade traps include those with red wine, banana slices, bleach, and rotten fruit. Keep in mind that you must cover any of these traps with plastic wrap to prevent the flies from escaping and propagating further. Old-fashioned vinegar traps tend to work best. If you are looking for something more powerful. Consider using sticky strips or other manual removal methods to get rid of these unpleasant bugs in your house. Some people swear by LED light producing machines to attract and then kill flies. These draw flies into their shiny lights and then trap them before they escape. Although these tend to be a bit more costly, they can be highly effective in eliminating gnat populations. If you have a large-scale infestation, you can also use an insect fogging product. However, these can be potentially toxic or carcinogenic, so make sure you read product labels carefully and never use them around pets or small children. Remember that it may take some trial and error to find the best gnat removal strategy for your household. Not all methods include one hundred percent guaranteed success. Depending on the severity and complexity of your infestation, you may have to experiment to find the best solution. Luckily, most treatments are inexpensive and easy to implement. Bumping on a mouse in your house is a scary experience. To make the matter worse, the sound that mice make when their gnawing electrical wire and `scratching walls can render you sleepless. Considering these bad experiences and the fact that house mice can spread an array of pandemics such as Lyme disease and salmonella, no one would wish to share a shelter with these annoying rodents. If you spot them in your house, consider removing them soonest possible before they wreak havoc. Although mice are nasty animals, some people would still be moved nearly to tears upon seeing a lifeless mouse. They prefer catching a mouse alive and releasing it somewhere else far away from their houses. 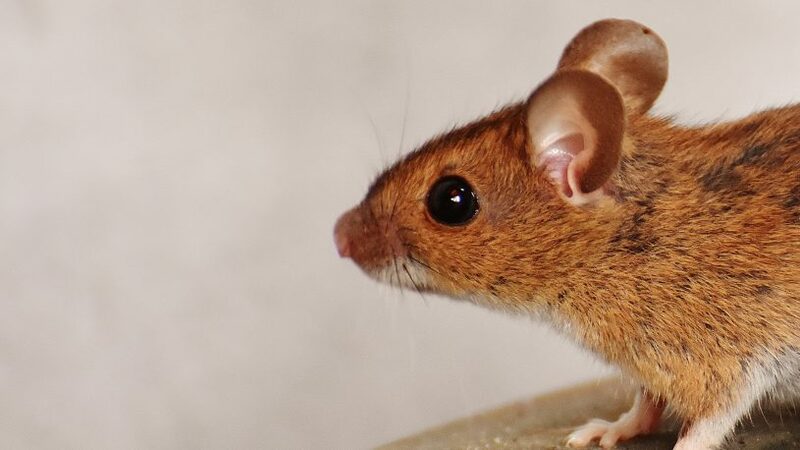 This mouse-catching approach is practical when you want to trap a mouse that you suspect has been walking on your kitchen’s countertop. Place a deep bucket against the counters and just above it, place a spoon with a peanut dollop on the edge of the counter. The peanut should be on the handle end of the spoon and while the spoon ought to be balanced off the counter’s edge with the end with the bait being above the bucket. When a mouse tries to reach the bait, it, together with the spoon, will fall into the bucket. Since the bucket is too slippery for the mouse to climb, it will have no escape option but to wait for you to determine its fate. Smear some peanut butter (bait) on the interiors of the glass. Then, put the glass on the ground in an upside-down manner and then put nickel below the glass to support it. The coin should prop up one side of the brim of the glass. The coin will fall, making the glass to drop when a mouse gets in to reach the peanut butter and the rodent will be trapped inside the glass. If you want to kill a mouse without using any chemical, then, the use of a spring-loaded trap is the best option. However, you should handle this trap with utmost care since a simple blunder can cause you injuries. Besides, it should be placed in an area with less human and non-targeted animal traffic, else it can do more harm than good. Apply peanut butter on the small paddle of the trap. Then, place the trap in the spot where you suspect or spot mice mostly. Once the mouse tries to reach the bait, the trap will spring, hit the rodent with much force and hold it there until the time you remove it. Since the mouse will die upon the trapping, it is advisable that you dispose it off soonest possible before it starts to decompose and produce a foul smell. One of the drawbacks of attempting to catch a mouse alive is that the rodent has chances to escape and continue to enjoy the comfort of your home. For instance, in the bucket and spoon method, a child or a pet may drop the bucket, and this will give the trapped mouse an opportunity to escape. Besides, if a mouse is trapped inside a glass, your child may lift the glass, and if that happens, the animal will just run away and retreat to its previous or new hideouts in your house. Knowing how to get rid of flies in a restaurant is a top priority for any restaurant owner. Hygiene is beyond any debate when it comes to the running of a restaurant. Unfortunately, due to the availability of ample food, water, and other factors, restaurants are highly vulnerable to several pest problems. To be precise, a restaurant or a café has major areas that are prone to invasion by more than six types of pests, including flies. Pests in your restaurant put your customers, employees and even yourself at risk of getting various diseases. 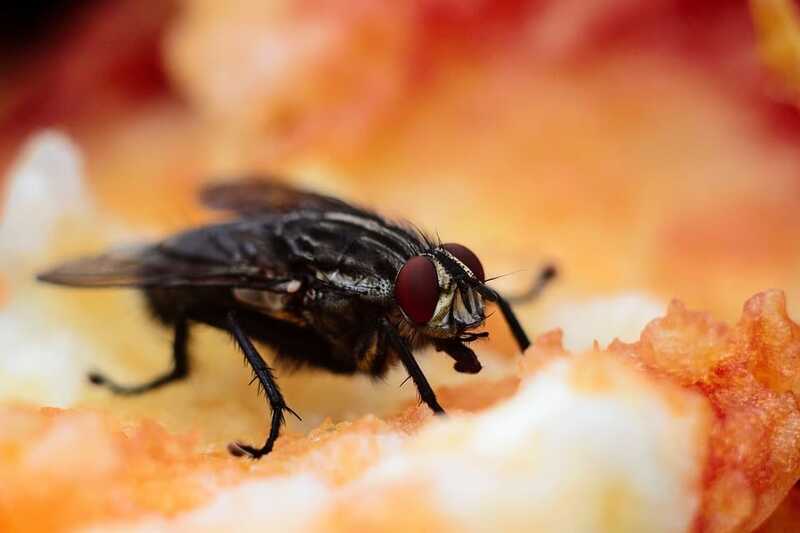 Flies which are among the most common restaurant pests carry and spread numerous pandemics such as cholera, salmonellosis, tuberculosis as well as typhoid fever. 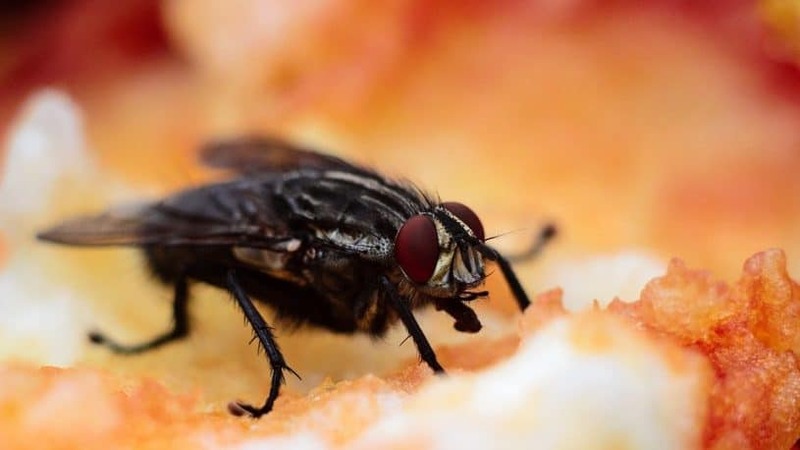 After feeding on decaying organic matter such as carcass and animal feces, flies carry pathogens by their feed and contaminate the food preparation surfaces and any food they step on. Eating the contaminated food put one at risk of getting diseases like typhoid and cholera. Besides spreading diseases, flies destroy the reputation of your restaurant. Hygiene and the success of your restaurant business go hand in hand. On the other hand, pests are usually associated with poor sanitation. Therefore, if your customers find your place unhygienic, they won’t hesitate to move to your neighboring competitor who they can trust. Also, health and safety laws require restaurant owners to control pests actively. Failure to do so, a restaurant is likely to be closed by the relevant regulatory agency and its license could be withdrawn. 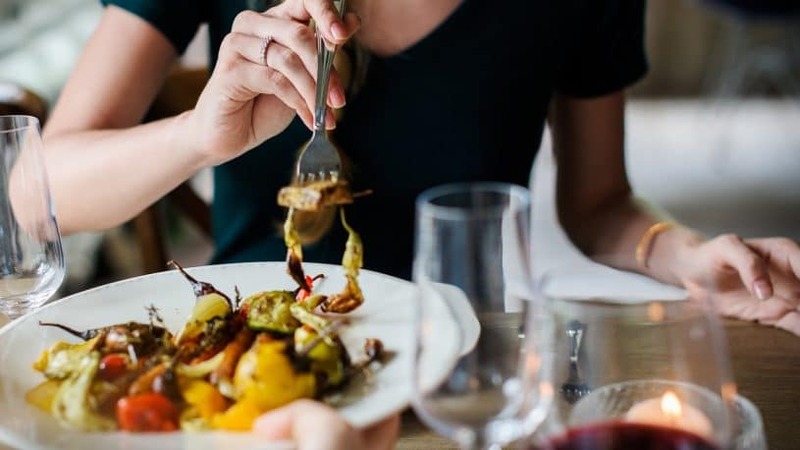 Considering the above risks associated with a fly infestation, the control of the pests is undoubtedly paramount for restaurant owners who want to excel in their businesses. 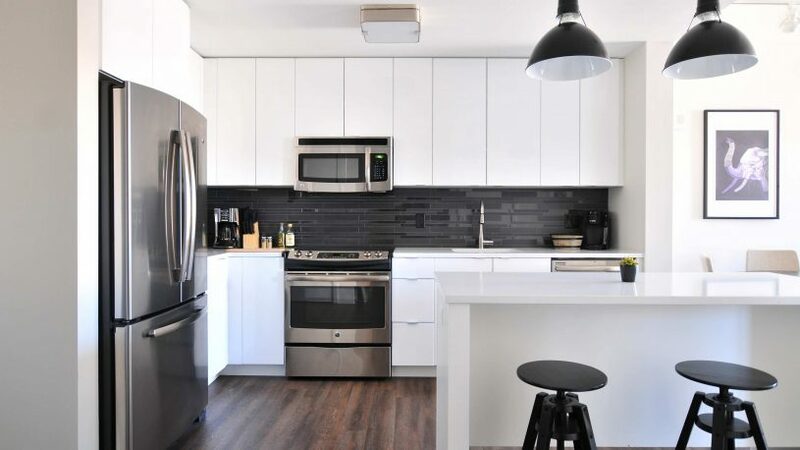 Your kitchen is the major harboring and breeding grounds for flies. You can make it unfavorable for the pests by ensuring that it is clean and sanitized all the time. Proper hygiene practices that can eradicate fly include regular cleaning of trash containers, drain traps and drains as well as frequent wiping down of counter areas and chopping blocks. The garbage area is another spot in your restaurant that you should pay attention to for fly control. Flies will frequent the area since they are attracted to decomposing matter, and unclean drains found there. Keep garbage containers closed and empty them regularly. Everywhere else in your restaurant including the dining area and washrooms also ought to be spotlessly cleaned and sanitized. Flies are typically found outdoors but if they get a chance, they won’t hesitate to enter your restaurant to get food and breed. They usually get in through open windows and doors. Therefore, keeping doors and windows closed (of course apart from the main entrance used by customers) will minimize the chances of the insects entering your premises. Alternatively, you can place screening vents on the entry points. Or, you can put large fans facing the entrances to prevent flies from entering your kitchen and waste area. If your restaurant is appropriately cleaned, and you blocked off the entrances for flies, but the problem persists, then you can opt to use a fly trap. The trap produces UV light which attracts flies. When the flies step on its sticky surface, they are trapped and eventually die. Restaurant fly control may sometimes be a daunting task, especially in an extremely busy business. Besides, in serious infestation cases, further expertise is necessary. In such situations, professional help from a reputable pest control expert comes in handy. Choosing a professional isn’t a waste of money. Paying an NYC exterminator protects your overall investment of the restaurant. If your house is not protected from the entrance of these bugs, you are likely to see them gathering on the walls as well as the windows during the onset of spring as they prepare to move outdoors. Stink Bugs are relatively large insects which feed on plants and produce a foul odor when disturbed or killed. If they are found in your home it’s important you know how to get rid of stink bugs before they reproduce. These flat-bodied bugs come in varying colors, including brown to green depending on their respective species as well as geographic locations. An adult stink bug can grow nearly two centimeters long. Stink bugs are mostly found indoors during warm seasons as they eat plants in farms and woods. When it becomes cold, the insects migrate to sheltered places to hibernate and avoid the harsh cold conditions outside. They come out from their hibernating grounds during spring when there’s warm weather and move outside where they become active again. Stink bugs rarely bite people but they do so when they feel endangered. Otherwise, they normally feed on plants such as peaches, cherries, apples, and soybeans, among others as well as vegetables and fruits. The most effective way of avoiding an experience with these stink bugs in your house is to prevent them from getting their way inside. There are various measures you can use to prevent stink bugs from entering your home, the best way is blocking entry points. You can use a high-grade silicone to seal small gaps on your walls and foundation. Weather stripping to fill in spaces in your outside doors. By completely sealing all these entry-points, stink bugs can only get inside when your door is open. Another way of barring stink bugs from invading your indoor space is wiping down your window screens with scented dryer sheets. The insects dislike the scent of dryer sheets and so won’t dare to come near anything with it. The smell of wildflower is also a turn off to the bugs. Therefore, you can also consider growing the plants in your yard to discourage stink bugs from coming close to your house. 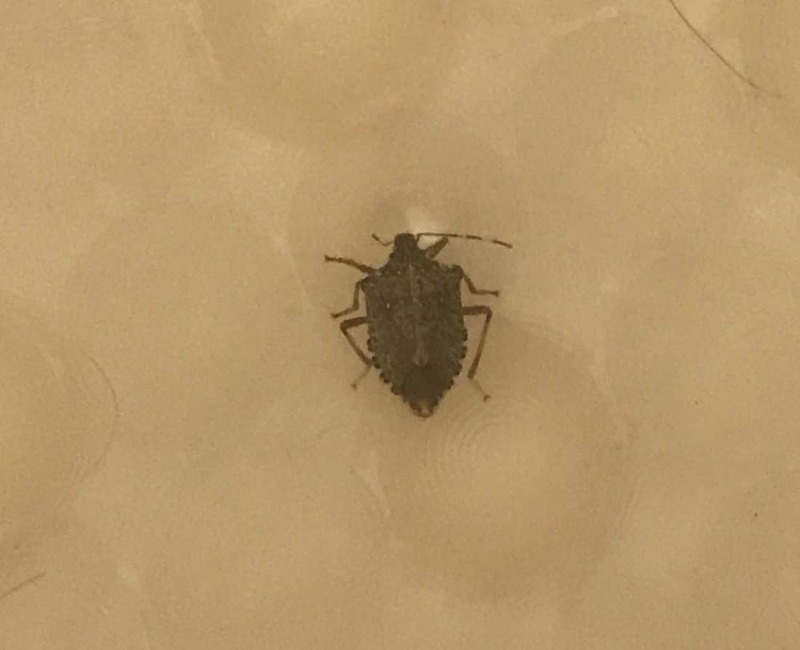 If you are so unfortunate that stink bugs have already entered your indoor area, don’t panic; there’s something you can do to eliminate them. One thing that you should not do is to touch or squish the insects unless you want to get their smell. Instead, grab the bugs gently using a plastic bag and flush them down your toilet. Alternatively, you can flick them into an empty water bottle, tighten it to prevent the smell of the bugs from coming out of the bottle and then put it outside your house for further disposal afterward. However, the insects are likely to die instantly once they are subjected to extremely cold outdoor weather. Add water to a one-gallon container and fill it quarter-way. Disturb the stink bucks on your walls so that they fall into the soapy water. After falling into the water, the bugs will drown and die eventually. A solution of hot pepper has also been proved to kill stink bugs. Hot peppers have a chemical called Capsaicin. The chemical burns the exterior body areas of stink bugs. 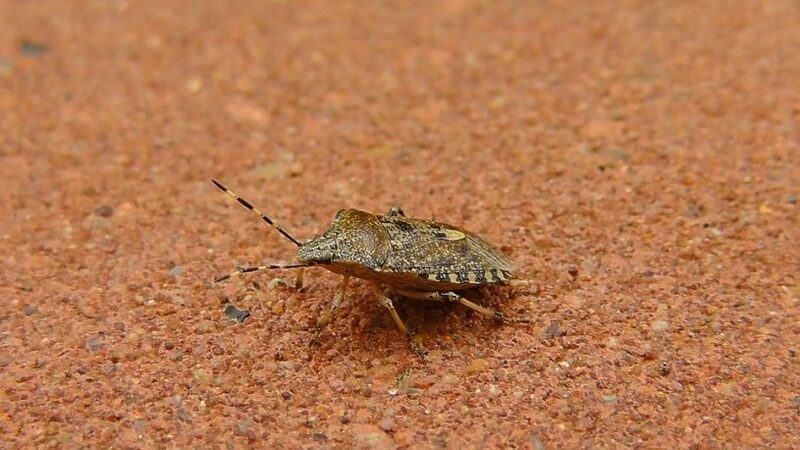 Stink bugs reproduce four times in each year. The adults leave their hibernating grounds to mate. After mating, female bugs normally lay eggs on the underside of the leaves of plants. The eggs then develop into nymphs and the nymphs soon become adults. Silverfish can be a nuisance in the home. It’s essential for you to either have a trusted exterminator on call or know how to get rid of silverfish when they are present. 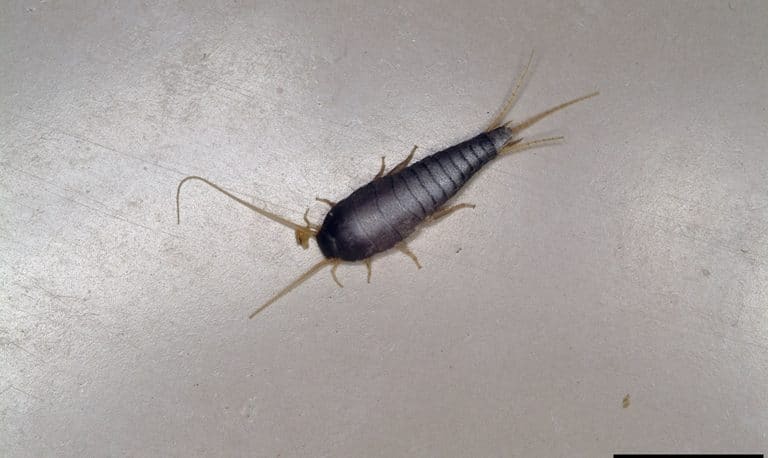 Following this guide to identify silverfish, and the practice of removing them from your home is a great start to putting your silverfish problem in the past. What Do Silverfish Look Like? A silverfish is a small insect without wings. To get around, they wiggle rapidly get from point A to point B. Just as its name suggests, its body is carrot-shaped, resembling that of a fish- a long and slightly flat body with an abdomen that tapers at the end. It has thin legs and appendages that are light in color and sometimes are not easily visible; this makes the bug look more like a fish on the ground. Adult silverfish have a segmented body which is covered in silvery-grey scales with a metallic-shine look. A newly-hatched silverfish has a whitish hue instead. Other physical features of a silverfish include two elongated antennae at its head’s tip while at the end of its body there are three long bristles. Similarly to other insects, this bug has six legs, and in addition to that, it has two compound eyes but has no wings. The size of an adult silverfish ranges from 0.25 inches to 0.5 inches. These bugs move very fast, although their movement involves pauses after short distances, and can outrun the majority of their predators such as centipedes as well as wandering spiders. Due to lack of extra appendages, silverfish cannot climb walls as fast as they can run on horizontal surfaces. 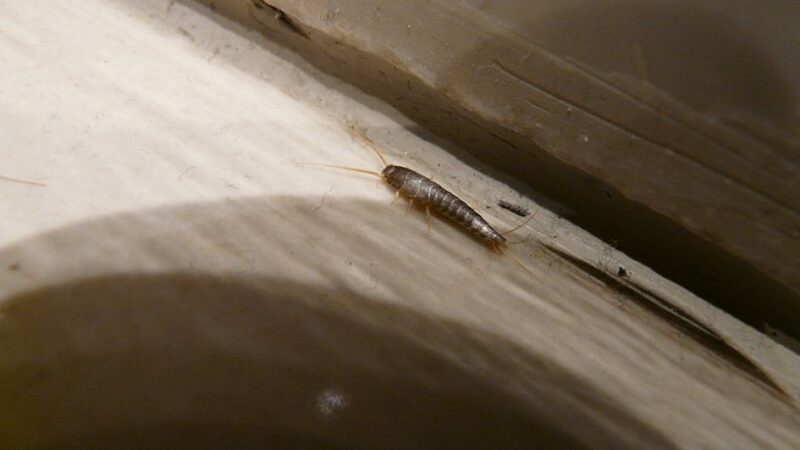 Silverfish are one of those creepy-looking bugs that no one would like to see in their homes. A serious infestation of these bugs can be really skeevy. Although they neither bite nor spread diseases, they cause damages on tapestries and fabric items such as clothes and upholstered furniture by staining or making tiny holes on them. Therefore, getting rid of silverfish should be a priority. The most effective way of preventing these insects from getting into your indoor area is to eliminate or reduce dampness and humidity as these are the factors that attract the bugs. Use a dehumidifier to minimize atmospheric moisture. Get rid of old cardboard boxes your house’s basement. Repair leaking pipes and faucets. Seal all the cracks and crevices on your building’s walls to prevent the bugs from getting their way in. Remove all the damp debris such as leaves that might be present in the surroundings of your building. Securely sealing and shutting all food and paper containers as well as photo albums always when they are not in use. Silverfish feed on carbohydrate foods, especially those with sugars and starches as well as book glues, among others. Enclosing books, newspapers as well as magazines in secure places like cabinets, containers, and cupboards. Regular vacuuming of your home, especially areas prone to dampness, to pick up potential silverfish eggs and food crumbs. Place some starchy food such as bread in a container covered with masking tape. Silverfish will get completely stuck to the container as they attempt to climb it to eat the food. They’ll eventually die there as a result of hunger and exhaustion. Seal the wall cracks and crevices that the pests can hide their eggs. This will reduce their chances of multiplication. Exterminate the pests using pesticides. There’s a variety of natural and chemical pesticides you can choose from in your local store. However, you should be very careful when you opt for this method; carefully follow the usage instructions of the pesticide you choose and preferably go for the option that is eco-friendly. Seek professional help. If you are not comfortable or able to handle the pest issue by yourself, you can seek help from a professional silverfish exterminator. If you have been noticing hornets around your property, we wouldn’t recommend that you ignore that they are there. They can become extremely aggressive and sting. 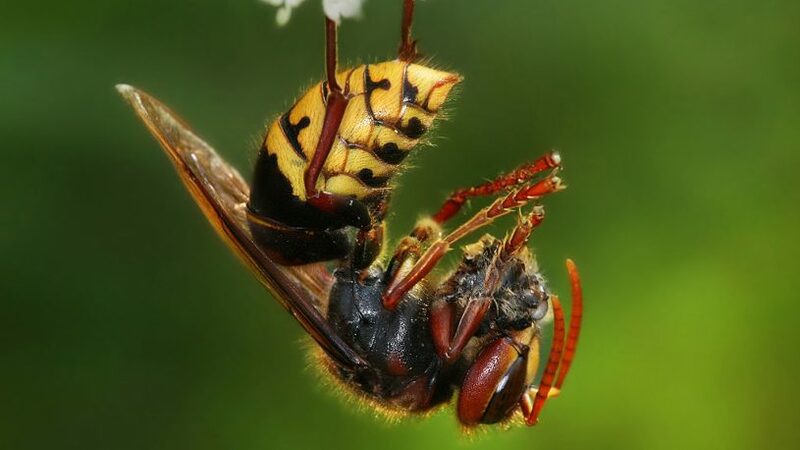 A hornet sting is very painful and for those who are allergic to their venom, it can cause them to require medical attention. Don’t take this chance; instead, seek the services of professional pest control services. 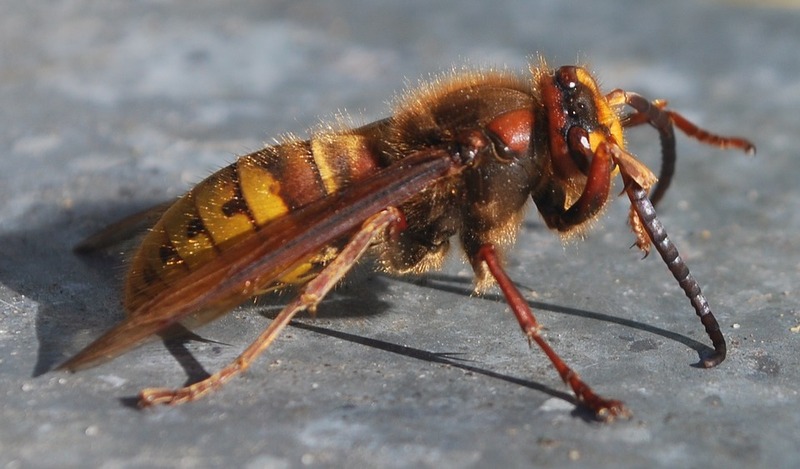 At Control Exterminating in New York, we have been able to help hundreds of people get rid of the problem they have been experiencing with hornets. When you have hornets around you, there is likely a nest nearby. The worse thing that you can do is try to knock down the nest. If you thought you had a problem, you haven’t seen anything yet. You can eliminate the threat of being stung by reaching out to our professional NY exterminators today. Hornets NYC: Why Are They Dangerous? If you have hornets, you definitely wouldn’t want them coming inside your home. We can help you make sure that this doesn’t happen to you by sealing up the areas they could get in through. We would also use materials to help us prevent them from getting inside. If there are trees and bushes outside your windows, it is best to keep them trimmed to avoid the possibility of them getting in through cracks and crevices in or around your home. Certain types of hornets will begin building aerial nests inside bushes, trees and shrubs. When we begin to work on getting rid of the nest around your home, we might need to wait until no one else is coming or leaving your home. 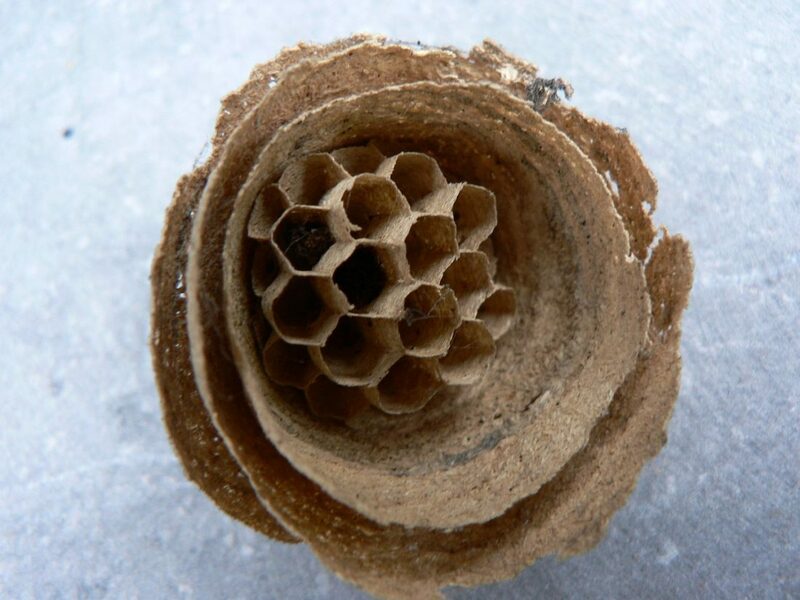 It might even require more than one visit to make sure all of the hornets are out of the nest. After such time, we can then remove the nest. Control Exterminating since 1973 ~ Don't be PESTimistic! ~ Call Control Exterminating 1-212-847-3842 for Results! Copyright © 2018 Control Exterminating. All rights reserved. © Copyright 2018 Control Exterminating Company Rated 4.9 / 5 based on 98 reviews.